The ESEE-3HM fixed blade knife features a black finished 1095 steel blade with a plain cutting edge, canvas Micarta scales and a traditional handle design with a smooth rounded pommel. 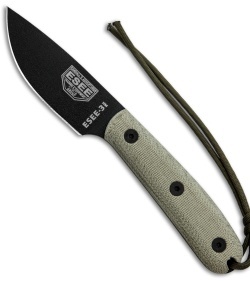 This ESEE model includes a leather sheath with a belt loop. ESEE knives are made from high carbon 1095 steel. 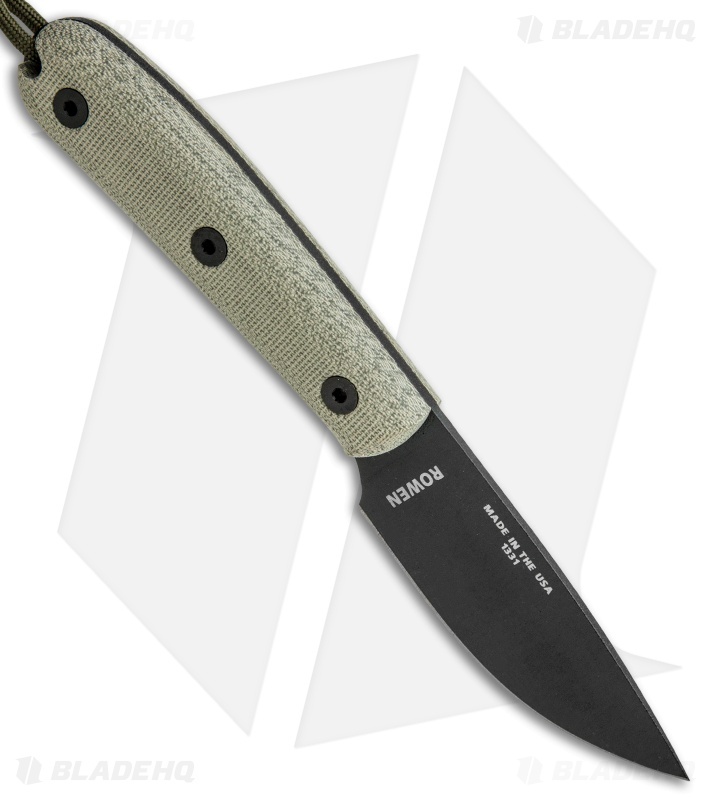 And while 1095 is a top choice for professional cutlery designed for hard use, it will rust and stain if not properly cared for, especially on the cutting edge and around the laser engraving. It is the user's responsibility to keep the blades properly lubricated and cleaned. ESEE Knives suggest using a dry film rust inhibitor such as TUF-GLIDE or TUF-CLOTH.